Southern comfort in the heart of the Village. 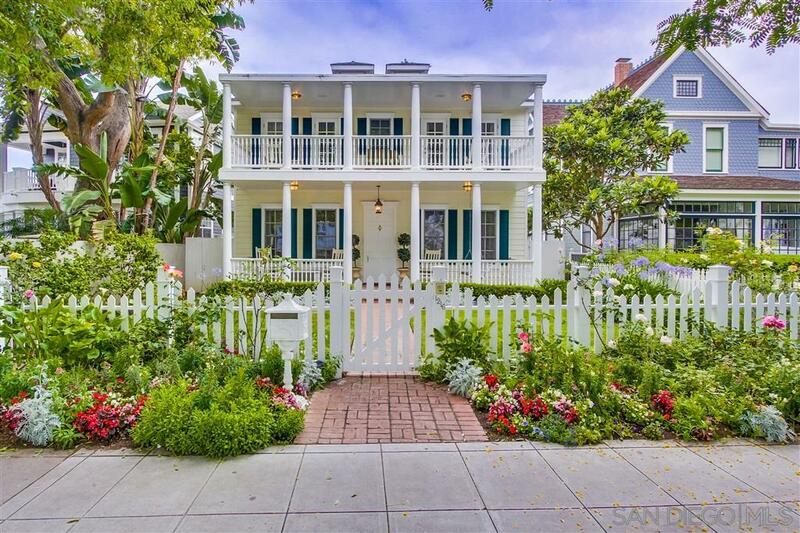 Enter through the gated white picket fence onto the gracious front porch and enjoy the relaxation of this elegant home. The charm of this home lies within its warm wood floors, lantern style fixtures, large open design kitchen, formal dining and living area for entertaining by the fire with friends and family. Complete with elevator, study, master retreat incl. fireplace & spa style bath and 3 addl BRs. Private brick patio, yard and detached 2 two garage., Location is key, a few homes from the beach and near the Hotel Del, local shops and restaurants. Off the main street and close to all the splendor in the Village of Coronado.